A comeback that has been slowly brewing since a few years now. DIVINE ELEMENT was the first band of SPECTRAL LORE’s multi-instrumentalist Ayloss and vocalist Antonis, releasing their ambitious debut album back in 2010. Afterwards, the band paused operations and Ayloss took his brand of sprawling, epic metal songwriting to a more atmospheric turn with his solo project, yet the call to continue the story of DIVINE ELEMENT had always been strong within. Reuniting again and using for this recording the services of renowned technical death metal drummer Hannes Grossmann (Alkaloid, Blotted Science, Ex-Obscura, Ex-Necrophagist), “Thaurachs of Borsu” is the first chapter in many future ones to come, under a new and ambitious conceptual undertaking, the combination of metal with fantasy literature and world-making. “Thaurachs of Borsu” is based on the same-titled novel written by Ayloss, which will be unveiled not long after the album release (to be followed by short stories from Antonis) set on a medieval fantasy universe envisioned by the band. The album chronicles the passage of a soldier through various levels of consciousness about the reality of war, human society and the fabric of the cosmos itself, as the gritty and daring warriors of his nation, Borsu, fight to regain their ancestral homeland from a much more powerful enemy. 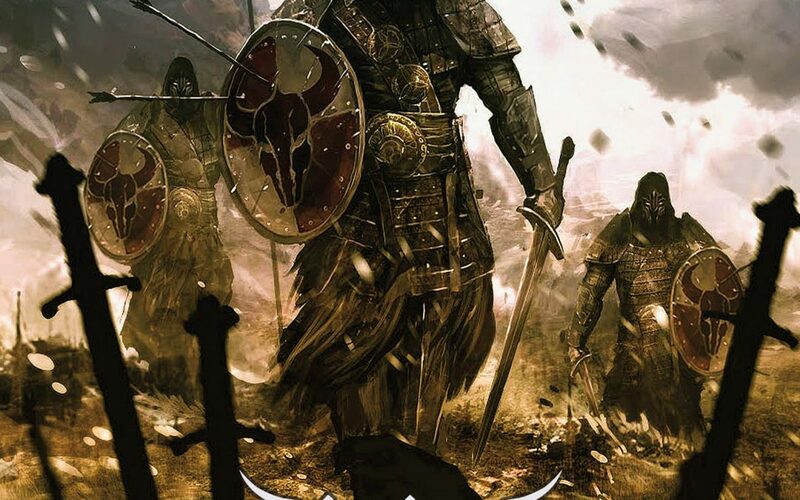 Musically, “Thaurachs Of Borsu” ties together several styles of metal to serve the higher purpose of epic storytelling, although takes notice to never fall into the typical clichés of “soundtrack metal”, keeping an old-school approach mostly centered around death and black metal of the heavy, melodic variety, with lead guitars leads often betraying their folkish influences, while DIVINE ELEMENT does not eschew the occasional progressive or technical touch.